KATHMANDU, August 11: Tourist Police in Nepal has been facing challenges in handling mentally-disturbed tourists, said officials. The Tourist Police Office (TPO) told Republica that there are many frequent cases of mentally disturbed tourists suffering from drug overdose, stranded on the streets penniless and alone at night. According to an investigation officer at the TPO, a majority of such tourists are connected to their respective embassies in Kathmandu for further action. However, those without residential embassies in Kathmandu have to be transported to Delhi if the embassy concerned is there by the Tourist Police for further procedures. Senior Superintendent of Police (SSP) Shailesh Thapa Kshetri, spokesperson for Nepal Police, said that lack of sufficient funds is also an issue in these kinds of cases. He said that because of the minimal budget, flight tickets to Delhi are an extravaganza in itself. “Language barrier and ignorance regarding Nepal's law is another major challenge,” Thapa said. SSP Thapa, however, claimed that the police are putting their best efforts to facilitate such tourists. According to him, the government has attempted to provide general treatment to such mentally-disturbed tourists locally itself. The police at times also have requested for safe houses for them. Moreover, depending on the severity of the case, their cases are forwarded to other investigation department that can look into the matter in depth and take necessary action. In the past three to five years, the Tourist Police has brought some changes in its service delivery such as it has introduced a toll free number (1144) which provides 24 hour services to tourists across Nepal, said a police official requesting anonymity as he isn't authorized to speak to the media. “By creating consciousness about our existence at the national level through the use of modern technology and the internet, we have succeeded in making more tourists aware of our department and making ourselves increasingly accessible to them,” an investigation officer at the office told Republica. He claimed that the number of cases reported is on the rise due to their efforts in the recent years. While 571 cases were filed in the fiscal year 2015/16, the number rose to 687 in the year 2016/17. In fiscal year 2015/16, a total of 619 cases were registered amongst which the maximum were missing goods cases (450). This was followed chronologically by fraud, robbery, pick pocketing, harassment and dispute, attack, snatching, misbehavior and the like. First Information Report (FIR) along with first-response complaints are filed in the Nepal Tourist Police Office. The office is responsible for conducting preliminary investigation into any complaint filed, and coordinate and network with the local police station depending on the severity of the case for further investigation. Established in 1979 as a special unit of Nepal Police, the Tourist Police Nepal which works in coordination with the Ministry of Culture, Tourism, and Civil Aviation conducts preliminary investigation of tourist-related cases. According to Nepal Police, a total of 227 officers are recruited as Tourist Police. 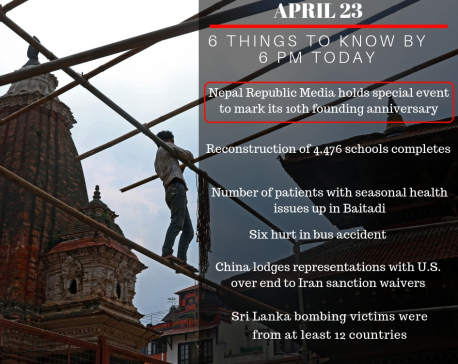 It has 24 units across the country including 9 units inside the Kathmandu Valley and 15 units in other 11 districts.